Robert E. Duff grew up in Lebanon, Indiana and graduated from Lebanon High School. He obtained his undergraduate degree from Purdue University and his law degree from Indiana University School of Law in Indianapolis, both with honors. Since becoming a member of the bar, Mr. Duff's career has been diverse. He has worked as a law clerk for the Honorable John Paul Godich, United States Magistrate Judge, and the Honorable Margaret G. Robb, Indiana Court of Appeals Judge. He worked for the Indiana Attorney General, where he litigated civil and worker's compensation cases and supervised a staff of five that administered the worker's compensation program for nearly 50,000 state employees. 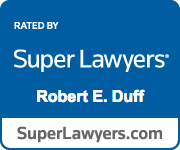 Mr. Duff has also worked for small and large Indianapolis law firms. 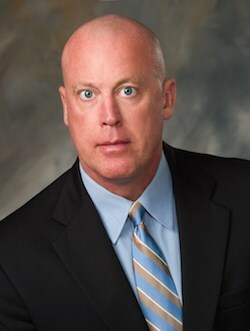 At Locke Reynolds, he defended Wal-Mart in personal injury lawsuits and Mitsubishi, Toyota and other automobile manufacturers in lemon law claims. At Schuckit & Associates, he defended credit reporting agency Trans Union in Fair Credit Reporting Act litigation in six Midwestern states. Mr. Duff founded the Indiana Consumer Law Group/The Law Office of Robert E. Duff in 2007 so that he could use the legal skills developed representing the State of Indiana and big corporations to obtain consumer victims justice. Helping consumers is all he does. Represented victims of domestic abuse in protective order proceedings in court. Advised and represented parents in child custody matters. Mr. Duff is a happily married, very devoted father to two children and five step-children. Nothing brings him more enjoyment than spending time with his kids and he remains intimately involved in their lives. In addition to being a dedicated father, Mr. Duff is a dedicated Christian and lover of Jesus. For fun, he races mountain bikes, works out, enjoys boating and traveling to sunny destinations.